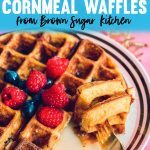 The batter for these cornmeal waffles contains yeast and needs to rise overnight before cooking. This makes things so easy because you make the batter the night before and only have one step to finish in the morning before cooking them up. The yeast makes them light and fluffy but they still cook up with a perfect crisp outside. 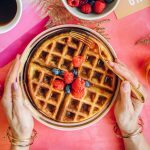 People stand in line at Brown Sugar Kitchen for an hour for these waffles, but you can enjoy them in the comfort of your own home! This recipe is from the famous Brown Sugar Kitchen restaurant in Oakland. Admittedly we haven’t done enough exploring of restaurants outside of San Francisco. Brown Sugar Kitchen was a brunch staple in West Oakland for 10 years. 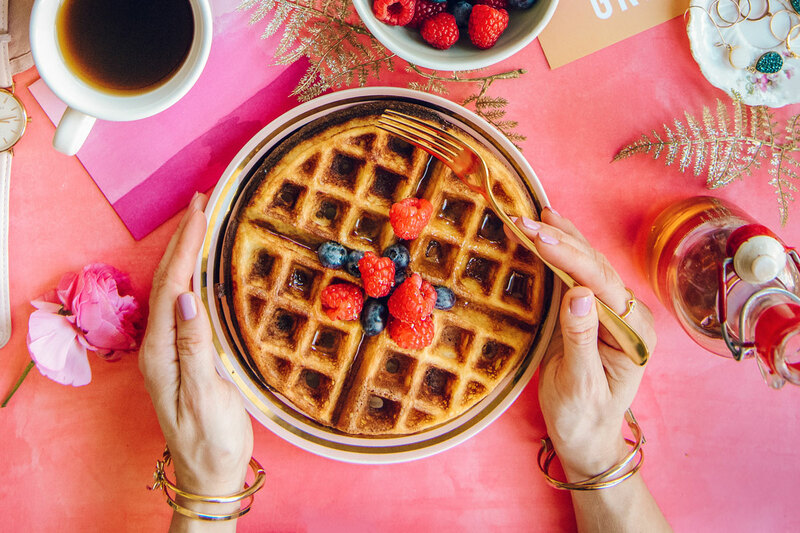 People stand in line for an hour on weekends to eat these waffles with Chef Tanya’s fried chicken. They actually closed their original restaurant before we had a chance to eat there. Luckily, they just opened a new location earlier this spring. There is also a Brown Sugar Kitchen stall in the Ferry Building in San Francisco. 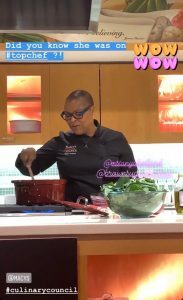 The chef of Brown Sugar Kitchen, Tanya Holland, did a cooking demo at Macy’s Union Square last weekend. You may recognize Chef Holland from Top Chef! 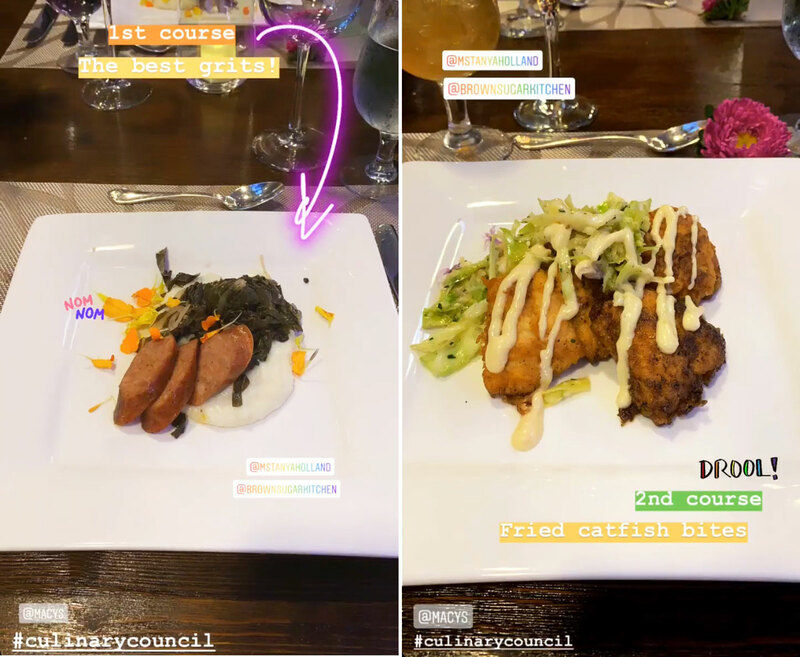 Chef Holland prepared a three course meal of her famous southern soul food. 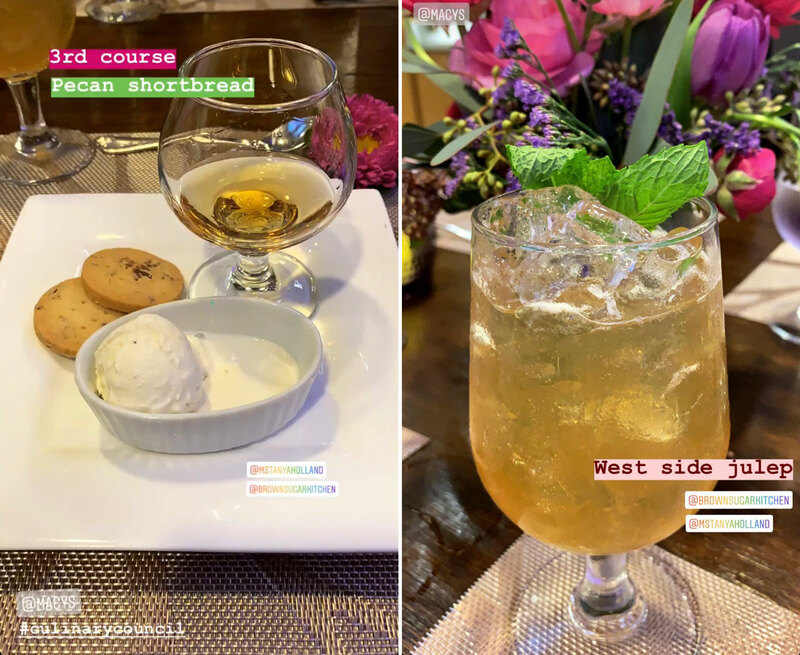 Things started off with grits and fried catfish bites and finished with pecan shortbread and ice cream. It was fun to see her work and hear her stories from being on TV and starting Brown Sugar Kitchen. I’ve been to several events at Macy’s Union Square in San Francisco, and even lead a cooking demo a few years ago! I highly recommend taking a look at their event schedule. Many of them are free, making them a great activity if you’re exploring San Francisco on a budget! You can find other Culinary Council events all over the country here. 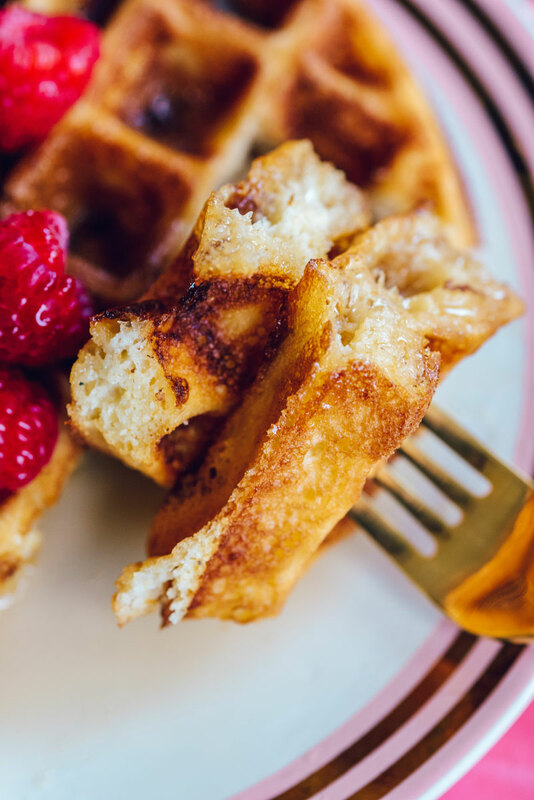 The batter is made the night before meaning minimal hassle when you’re making breakfast! Stir together yeast and water in a small bowl and let stand until foamy, about 10 minutes. Sift together cornmeal, flour, salt, and sugar in a medium bowl. Add yeast mixture to eggs and milk. Whisk in dry ingredients, then butter. Stir baking soda into waffle batter. 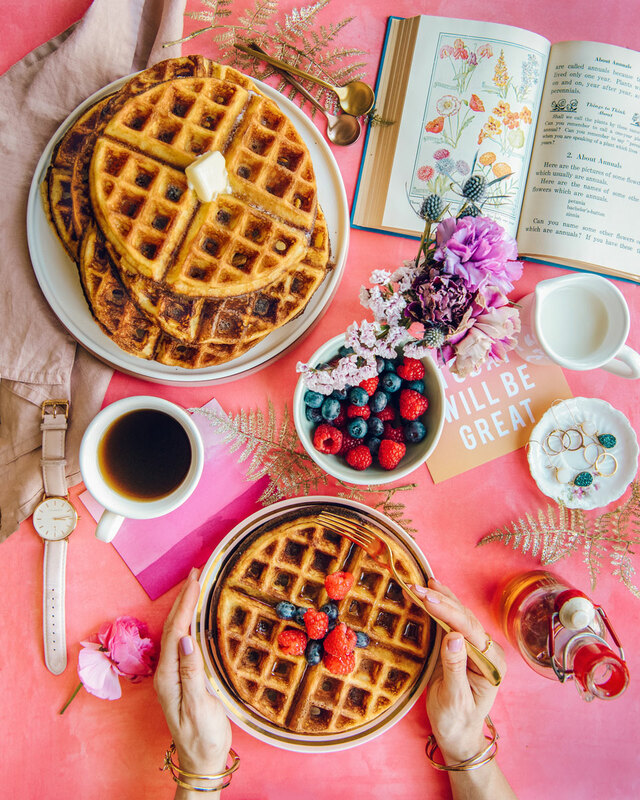 Preheat waffle iron and brush lightly with vegetable oil. 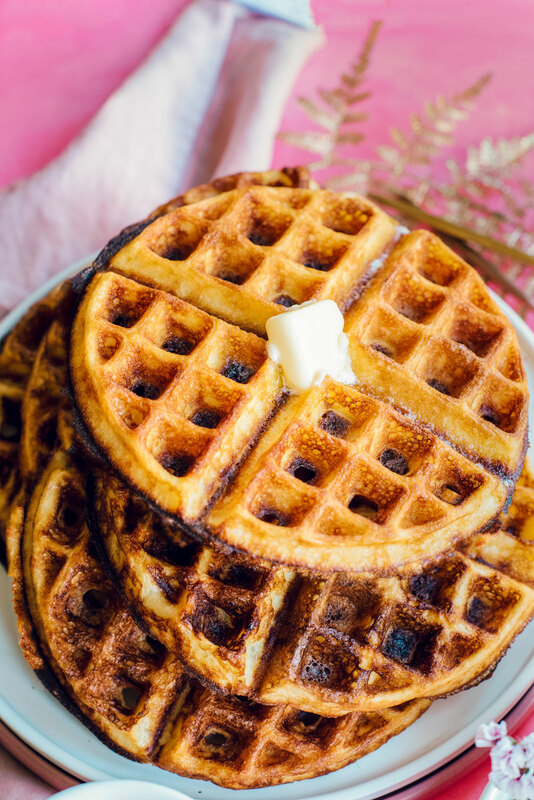 Cook waffles until golden and cooked through, about 3 minutes. 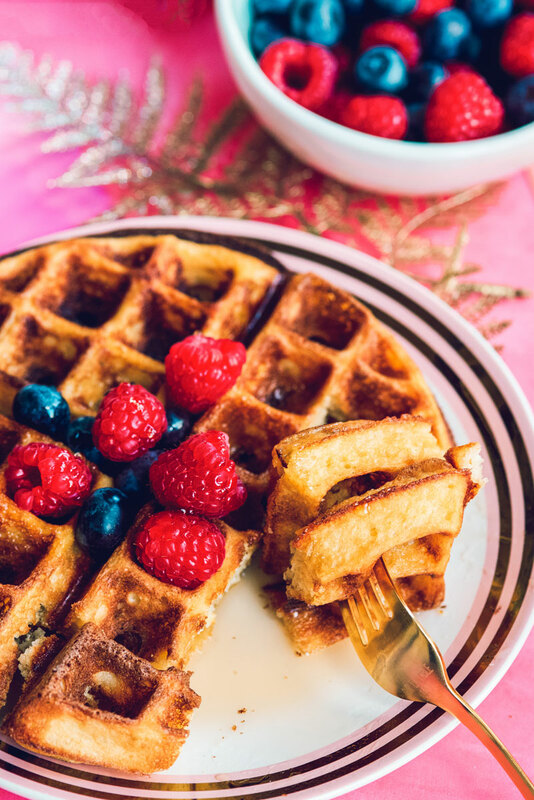 Keep finished waffles warm in an oven in one layer to stay crisp.